Arsh just beams with joy in the arms of his proud father. Alim is a food vendor in Delhi and heard about Rotaplast from a relative who saw a newspaper advertisement. 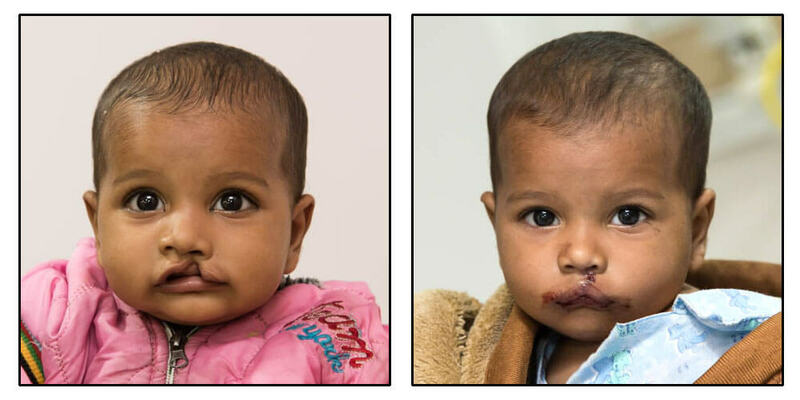 Arsh’s two older sisters will be excited to see him with his new smile, thanks to Rotaplast. 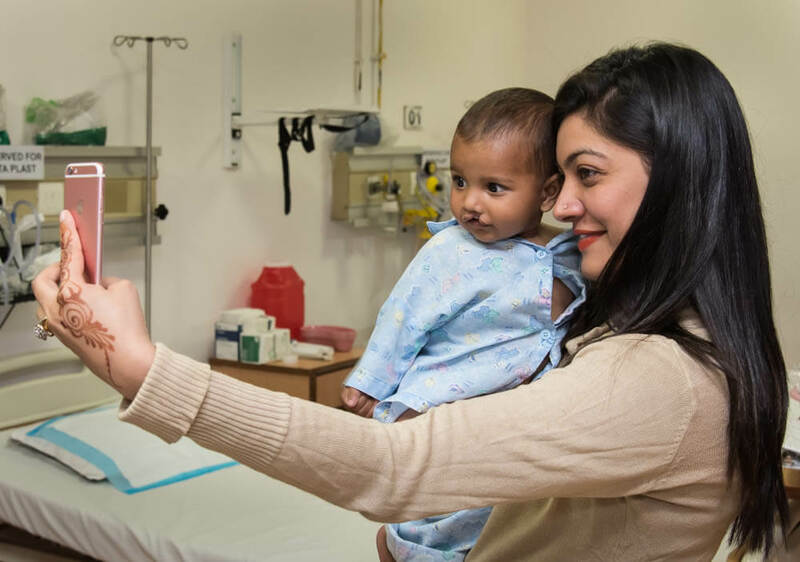 Time out before surgery for a selfie with local volunteer, Sonia. 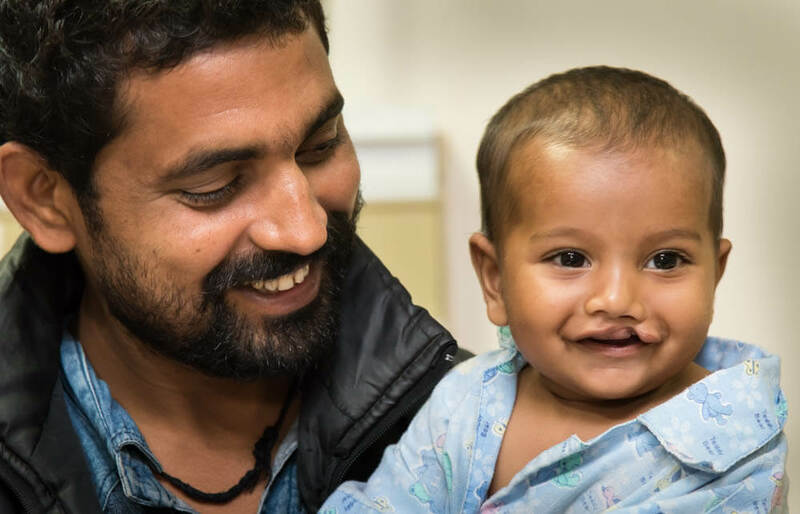 Anethesiologist, Dr. Basavaraj Nagappala, carries off Arsh for about two hours of surgery that will give him a new smile. 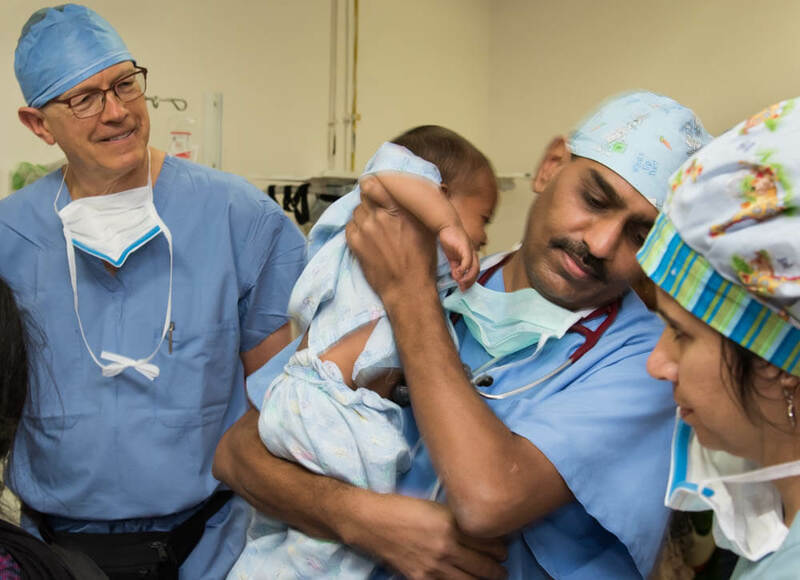 Surgeon, Dr. Rod Simmonds, looks on with PACU Assistant, Leslie Purchase. 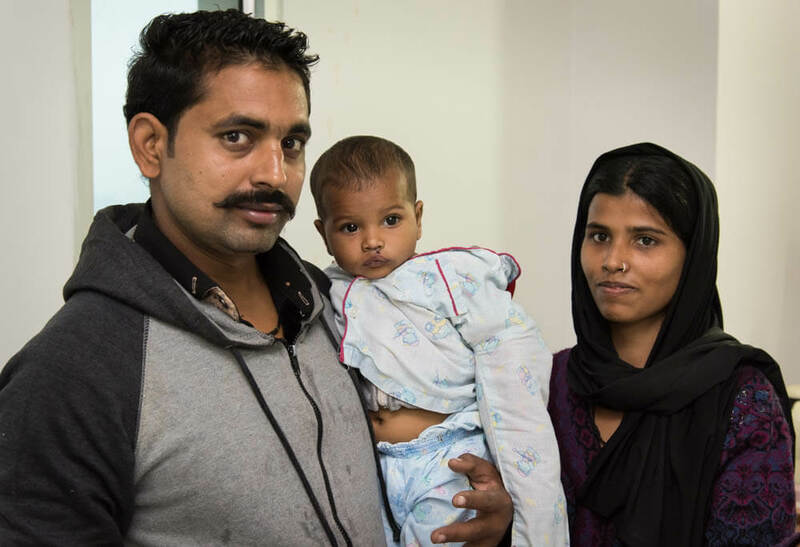 The following morning, Arsh and his parents are ready to head home.